Aruba, Madeira - and your PC. With the Memories Manager you can edit, organize and add sound and design elements to your photos & videos more easily than ever before. Order this fantastic Deal of the Week now! Your photos – organized and optimized. Video editing with Movie Edit Pro. Movie Edit Pro offers a unique workflow for video editing. Access high quality effects and easy operation for amazing results. 15 years in a row. Create breathtaking films using powerful tools. Select your best scenes, join them seamlessly together using transitions and add music to match. It's all possible with the intuitive Storyboard mode. This mode is ideal for beginners or for when you need quick results. 32 multimedia tracks Endless possibilities. Intros/outros, transitions, titles, effects – all in perfect harmony with your recordings. Movie Edit Pro shows its true potential in Timeline mode. Show off your films in the best possible light. Whether from smartphones, digital cameras or even modern camcorders with 10-bit HEVC recordings: Start editing in no time at all! Use the Export Wizard to output directly to DVD, Blu-ray or platforms such as Vimeo. 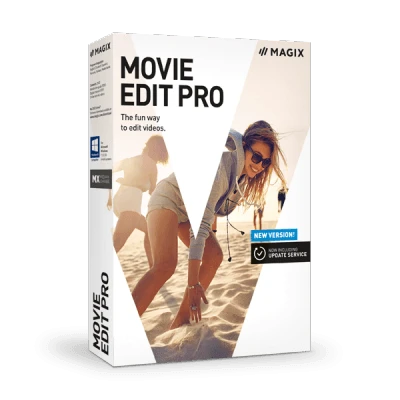 The beating heart of Movie Edit Pro with over 1,500 professional templates, effects and songs. You won't find this level of quality or variety anywhere else. Access the newly redesigned Media Pool directly within the program. Or find just the right effect in the newly integrated Movie Edit Pro Store. First and last impressions are everything. The new intro/outro templates contain an array of new details. To help you fix one of the most common problems when filming: we've included the best the market has to offer, proDAD Mercalli V2. This lets you rescue shaky video footage and transform it into something amazing. It's now fully integrated in Movie Edit Pro. Optimize brightness, contrast, color, and sharpness with just a couple of clicks or conduct red eye correction. Turn photos into eye catchers! Take full advantage of the filter package with Lomo effect, Color Splash, Drawing and Little Planet. Correct perspective distortions with just one click and straighten out the leaning tower of Pisa all on your own. Straighten your photos easily. All you need to do is drag a line along the horizon. Done! Combine up to eight single images to create wonderful panoramas – aligned and cross-faded completely automatically. 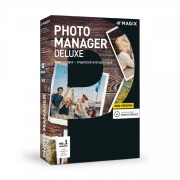 This photo management software helps you get the maximum out of your photo and video collection. Edit, sort and organize your photos & videos with ease. Take your friends and family along on your travels. Visualize your route with online maps of the world to show the most important highlights of your vacation.